You should know me by now; in addition to saving money, I am always on the look out for new ways to make money too particularly online, so today I am super excited to share with you my OhMyDosh review and what I love about the newest kid on the block! OhMyDosh is new site whereby you complete tasks in order to get rewarded in cash. I will admit to you now to not really using and getting quite frustrated with survey type sites mainly because they pay very little for the amount of time you end up spending on them! And I will be honest and say I did think that this was similar but it’s really not! You sign up for free trials, free products and even have the opportunity to enter competitions …. all whilst earning you some cash too! The withdrawal amount for OhMyDosh is just £10 too which was another reason I was very eager to give them a try as I think that’s a really achievable aim unlike other sites that sometimes require you to earn 5 times that before you can even withdraw! Upon your initial log in, the site gives you a quick tour but if you do want to read more about how they work before you sign up you can find a ‘how it works’ page at the very bottom of the home page. A cheeky 50p bonus too was added to my account just for registering and if once I had validated my email address they’d upped it to £1! The site itself has many easy accessible categories from hot offers to no spend offers obviously meaning most offers won’t cost you a penny! There are also a fair few free trials available on there too which is a fab way to try before you buy but be sure to read the terms and instructions on each offer taking a note, if needs be, of the date your free trial runs to. Set a reminder in your phone perhaps just so you know when your free trial runs to. Also if you were to invite your friends to join OhMyDosh then you’ll earn an additional £5 for each friend that reaches £10 so the more friends you refer, the more you earn! Not only that but for every friend you refer they too will receive a cheeky little welcome bonus in their account too, so as the site suggests; big friend points right there for you! 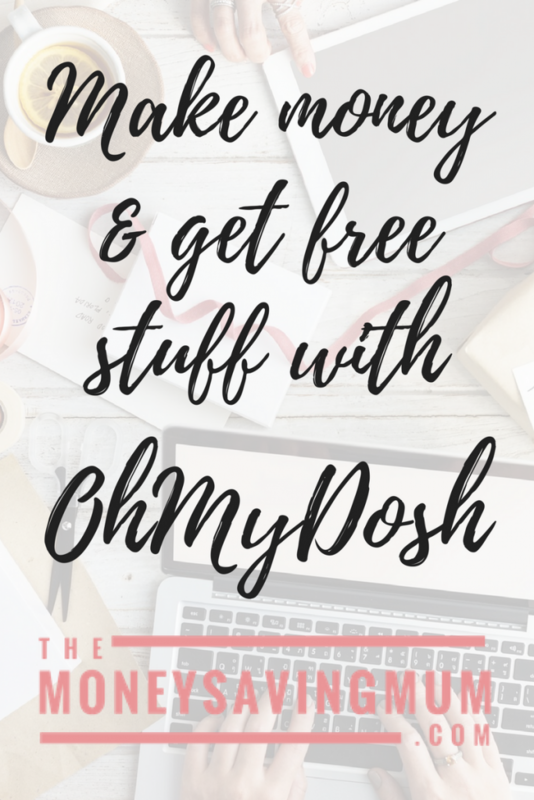 I really love OhMyDosh; it’s has such a simple and easy concept and the website is super user friendly so go check it out but if you want to see it in action and how I got on; feel free to check out my vlogs below where you can see my trying it out for myself…. This post was sponsored by OhMyDosh but all opinions are my own. Next Post Meal planning Monday… fail! Pingback: Get money now! 5 easy ways to make money in just one hour!